Multiply at the speed of lightning! 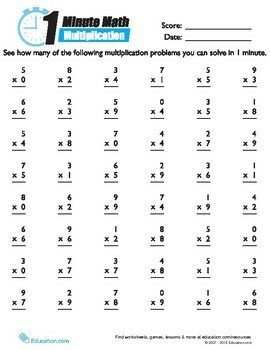 This worksheet is full of multiplication problems that your child should try to solve in one minute. If he doesn't get through it, don't worry—have him try to beat his best time. Minute math drills hone your child's basic calculation skills so make more complicated math easier for him later on.